Web oficial del Villarreal CF - PLI Cup Champions!!! 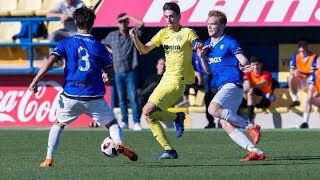 The Villarreal U21s became champions of the Premier League International Cup after beating PSV Eindhoven in an spectacular final which needed extra time and finished favouring the Yellows with the braces from Leo Suárez and Fran Sol. 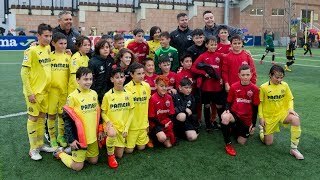 With the presence of former First Team Yellows Santi Cazorla, Coloccini and Gabriel Paulista, the Reserves started the match verymuch inspired. After 15 minutes, withoutany clear goal-scoring opportunities, the 0-1 came from Leo Suárez. The skilled Argentinean took advantage of an excellent assistby Fran Sol from the right wing to open the scoring. The Dutchteam's first goal arrived towards the end of the first half. The referee pointed to thepenalty spot, fault of Edgar Ié, and Leemans converted. Then, in the second half, PSV had a playersent off, De Wijsreceiving hissecond yellow card after a tackle on Leo Suárez. Despite playing with a man down, the Dutch team went in front with a goal by Koch. Villarreal U21s did not tire and after a great effortmanaged to get the equaliser. Rodribrilliantly set up Fran Sol and the striker from Madrid scored thesecond in the 85th minute. The match went to extra time and Villarreal U21s were sronger and imposed their quality. First, Leo Suárez scored to make it 2-3 with an incredible shot that flew into the corner of the net in tje 96th minute, then Fran Sol finished up his great performance by scoring the final goal, making it 2-4 in the 110th minute. Champions!!! PSV Eindhoven U21: Koopmans; Loof, Koch, De Wijs, Suently Alberto; Laros Duarte, Gudmundsson (Boljevic, m. 66), Leemans, Bergwijn; Paal (Van Vlerken, m. 46) and Laursen. 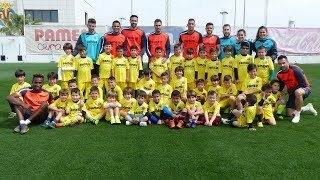 Villarreal U21: Cantero; Edgar Ié, Ramón Bueno, Pablo Íñiguez, Javi Ramírez (Adrián Marín, m. 52); Iván Alejo (Carlos Martínez, m. 59), Ramiro, Larrea (Rodri, m. 72), Alfonso; Leo Suárez and Fran Sol. Goals: 0-1. Min. 26: Leo Suárez. 1-1. Min. 44: Leemans, penalty. 2-1. Min. 53: Koch. 2-2. Min. 85: Fran Sol. 2-3. Min. 96. Leo Suárez. 2-4. Min. 110: Fran Sol. Referee: Neil Hair. 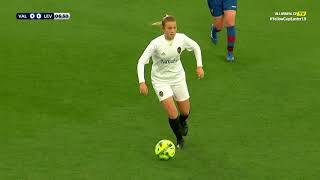 Sent-offfor a double yellow card, De Wijs (m. 47).